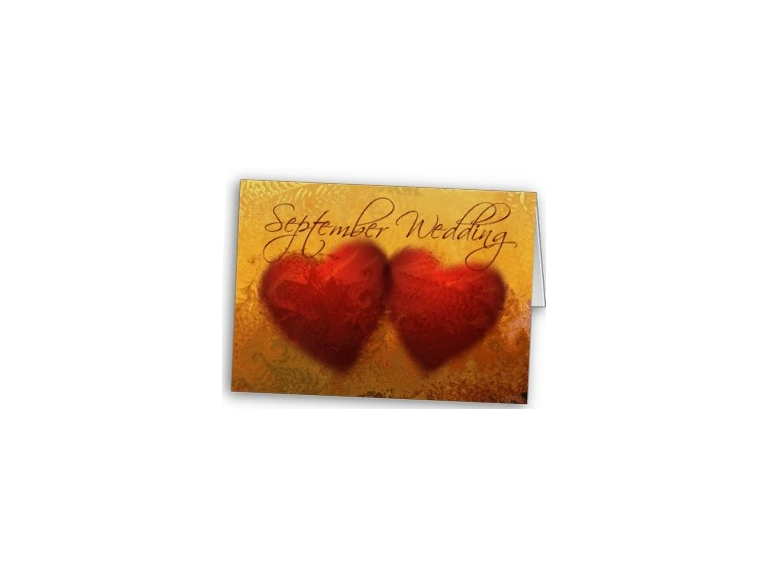 Planning a wedding in the Autumn or Winter? Watford resident, Tamsin Brown shares her experience as a September bride. I speak from personal experience here... My man and I got hitched on a very tight budget; we made the cake, the dress and all the wedding flummery ourselves, him in eBay vintage suit and Converse, me in the dress I finished at 2am the night before (I don't recommend that bit!). And as we did it in September, not only did we avoid the stress and the expense of the high season, but it also turned out to be the perfect weather for a garden wedding. With the average cost of a UK wedding estimated at a staggering £20,000, you can see why the recent trend for the DIY wedding has come about. You will have one or two creative friends gagging to get involved and you don't have to 'spend spend spend' to do it in style. Some canny purchasing and a bit of planning can mean the difference between starting your married life on the right financial foot or impossibly in debt. Here's a few top tips for a perfect wedding day that won't break the bank. Always a big chunk of your budget, but this is one area where booking out of season really has its advantages. You can also look for last minute cancellations or special package offers if you are prepared to be flexible on your dates. We knew we wanted an outdoor wedding so we opted for a walled garden and a picnic on the lawn. Local community halls and working men's clubs in and around Watford are another good option; they are much cheaper to hire and often allow self catering. You don't have to cut your guest list down, just reduce your spend per head. A costly sit down meal can be replaced with a buffet and why not serve your cake as a dessert? Most guests enjoy the chance to circulate and help themselves to a little of what they fancy! Employing a caterer means nice homemade treats but if you are really on a tight budget you can get very nice buffet fayre from certain high end supermarkets. The cake is often a big expense so unless you are lucky enough to have a baker in the family, you could opt for a supermarket bought cake and add some fresh flowers to personalise it. And don't feel obliged to provide everyone with free drinks all evening – a glass of fizz for the toast and maybe a welcome drink but otherwise make sure the bar is well stocked and dare them to complain! Another sneaky cost, handmade invites can set you back £5 each (and the rest), but with a little imagination you can make something beautiful yourself for a fraction of the cost. Cream cards, bits of ribbon and stamping sets are widely available from craft stores and it's fun! Or if you really want to cut the costs set up a website for your day and send e-vites. It's much easier to keep track of your RSVPs and you can include venue and accommodation links. Save on some to splurge on others! Esmerelda J's Exclusive for stunning gowns, photography from SKM Studio and Harlequin Photography and wedding venues such as Vicarage Road Conference Centre. And if you are planning a November wedding, why not get into the Bonfire Night mood and make it go with a bang with Whizzz Bang Fireworks!